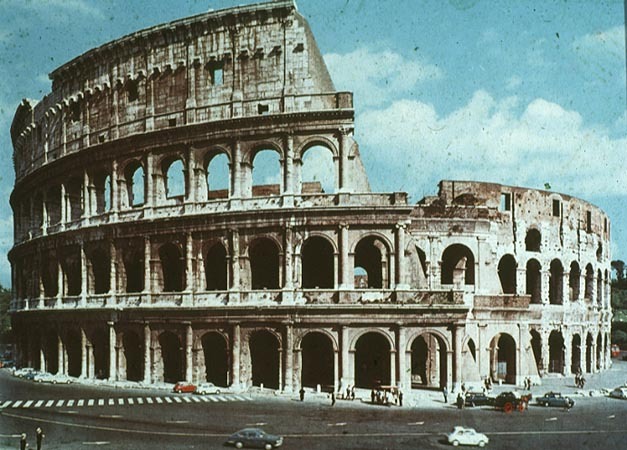 Flavian Amphitheater (The Colosseum), c. 72-80 A.D., Rome. 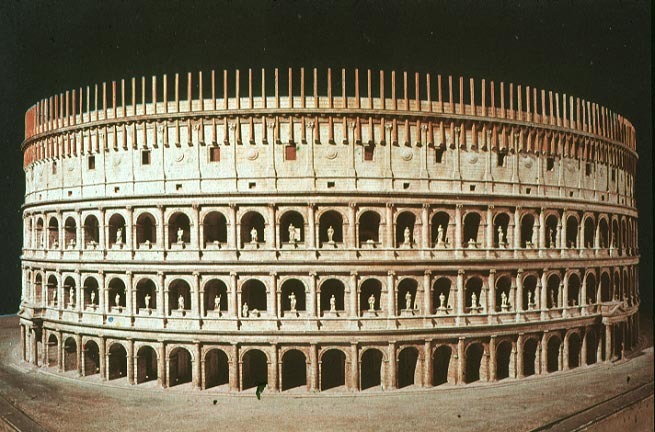 Reconstruction model of the Colosseum. 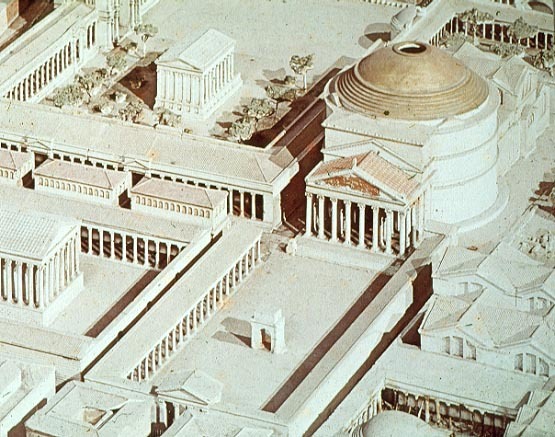 Forum of Trajan, c. 113 A.D. (reconstruction model), Rome, Shows the forecourt with Triumphal Arch, equestrian statue, and the Basilica Ulpia. 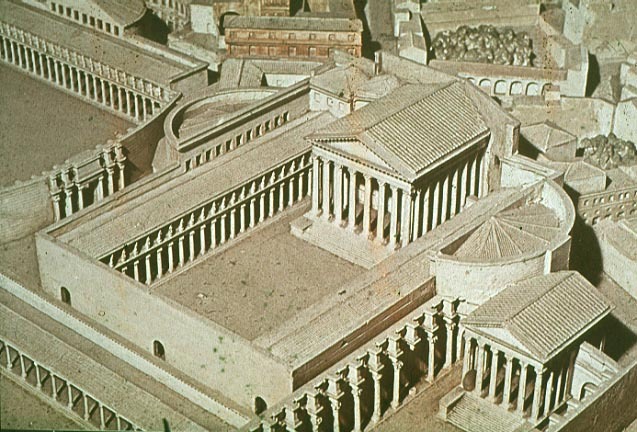 Forum of Trajan (model), shows the Basilica Ulpia, 2 libraries (one Greek and the other Latin), the Column of Trajan, and the Temple of the Divine Trajan (dedicated by Hadrian). 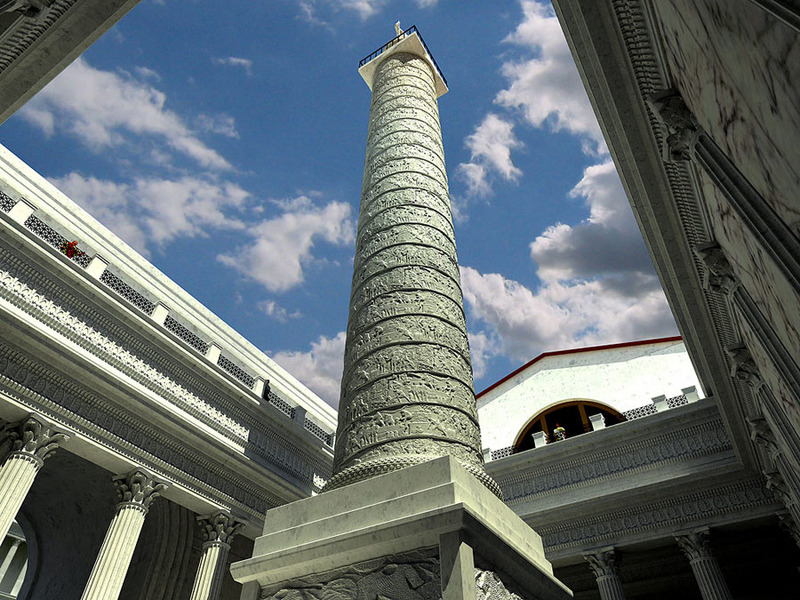 Column of Trajan and modern reconstruction/ Reconstruction of the interior of the Basilica Ulpia. 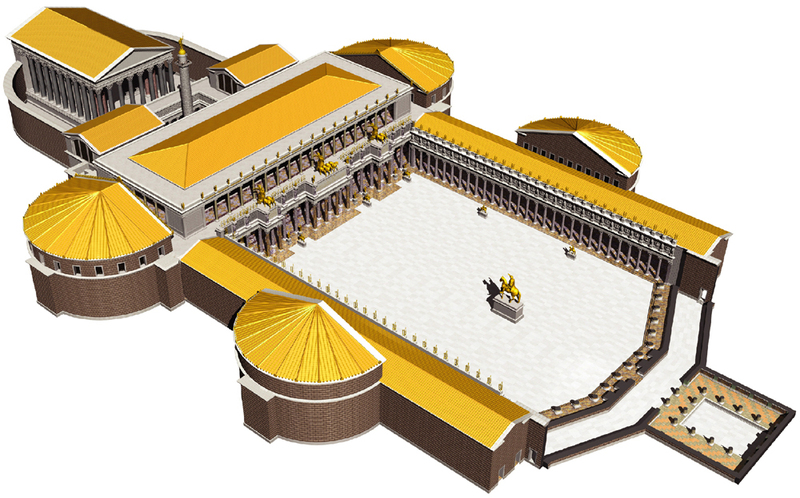 Reconstruction drawing of the Markets of Trajan. 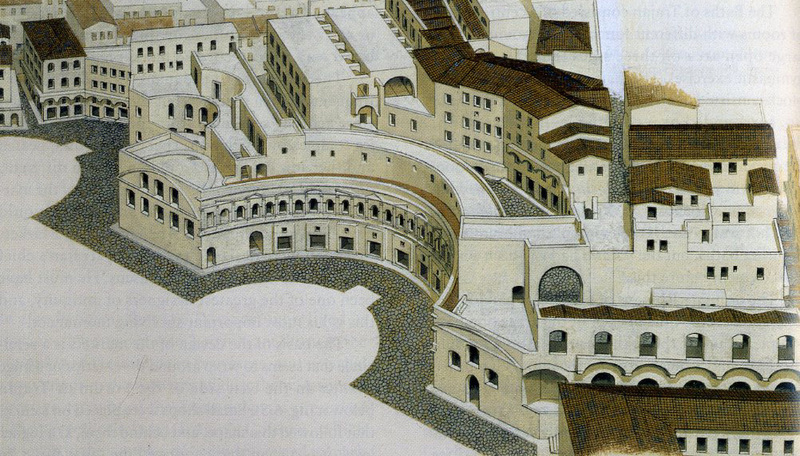 Sectional drawing of the Markets of Trajan. 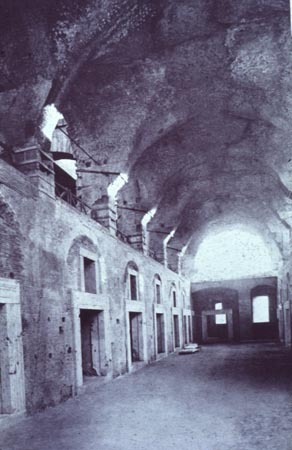 View of the interior of the Markets. 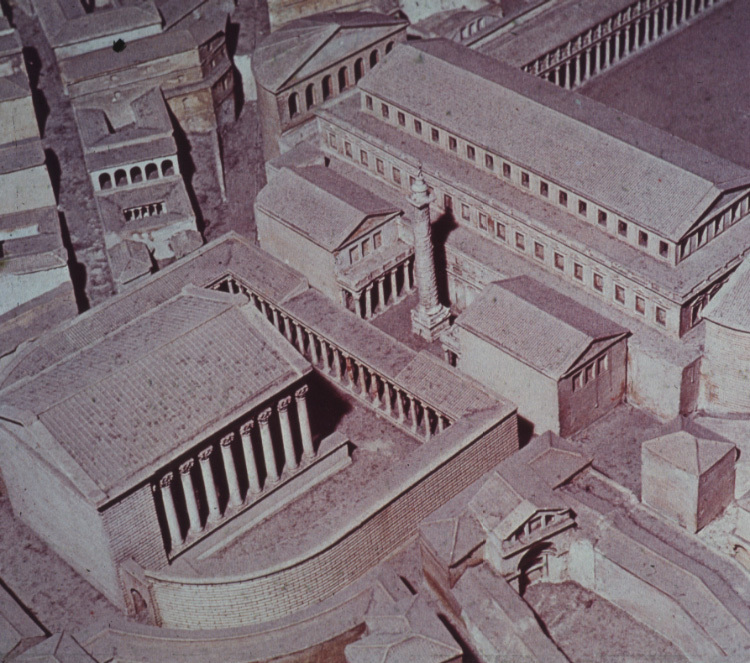 Reconstruction model of the complex of the Pantheon of Hadrian, 118-25 A.D. Rome. 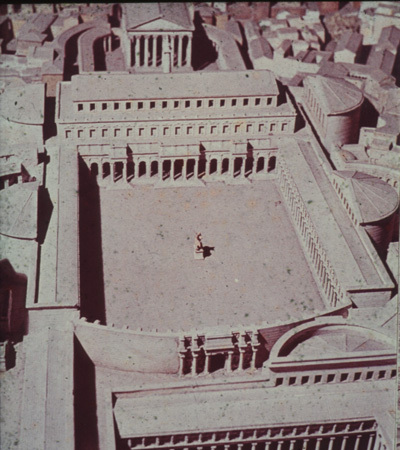 Model of the Forum of Augustus, late 1st c. B.C. 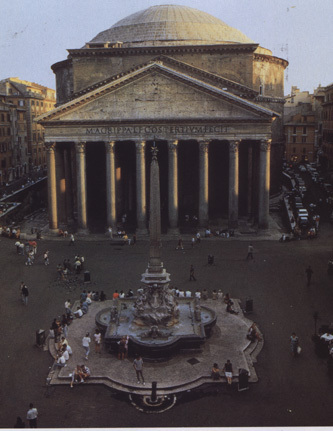 View of the Exterior of the Pantheon. 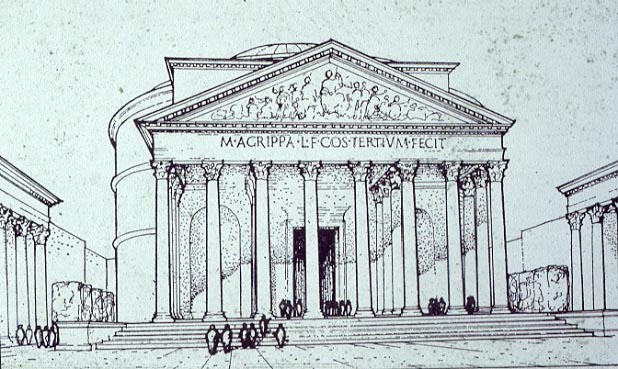 Reconstruction drawing of the exterior of the Pantheon. 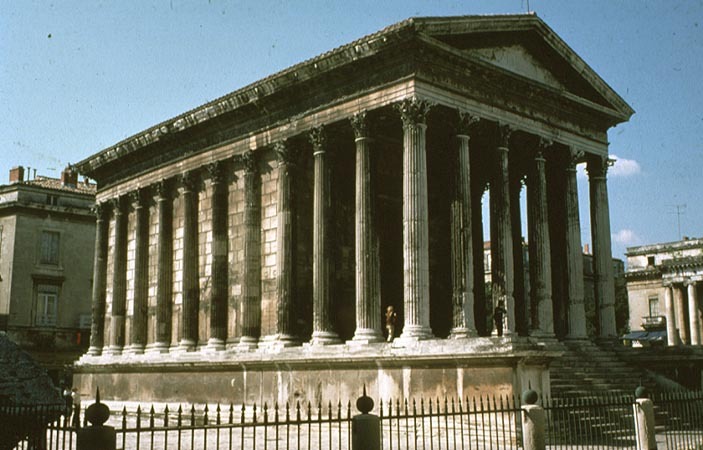 Maison Carrée, c. 19 B.C., Nîmes, France. 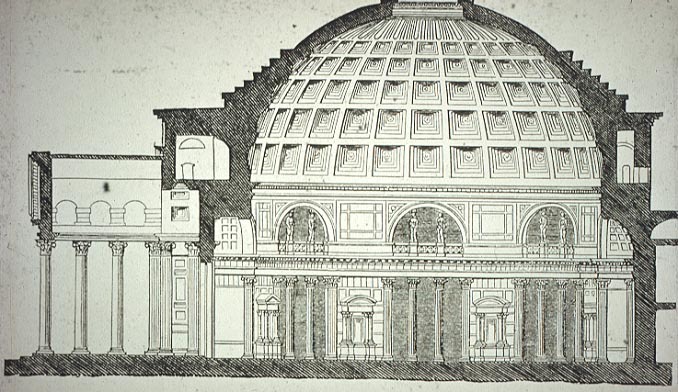 Cross section of the Pantheon. 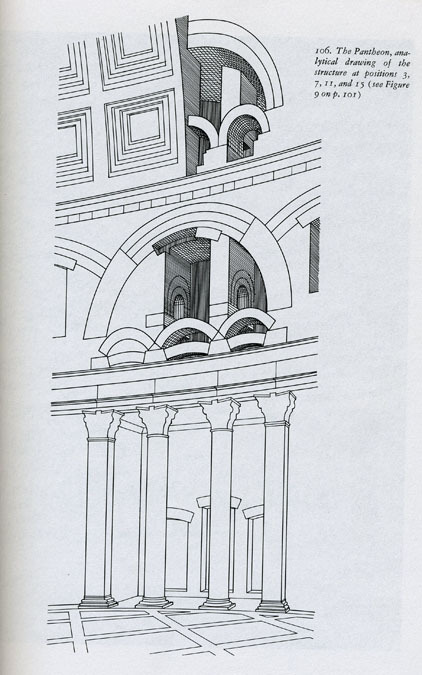 Structural diagram of the Pantheon showing arches built into the walls. 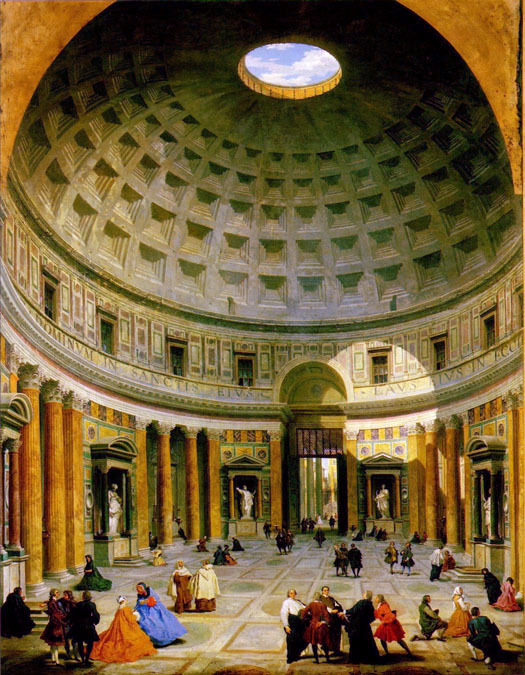 Giovanni Pannini, painting of the interior of the Pantheon, c. 1750. 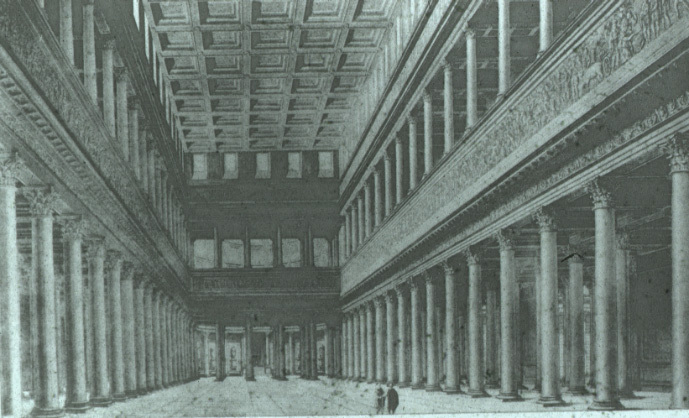 Views of the interior of the Pantheon. 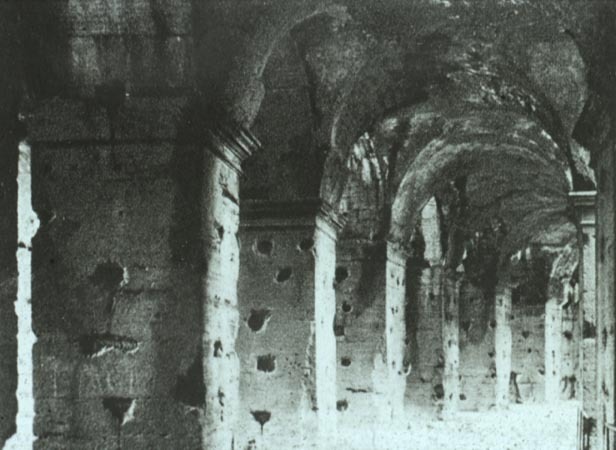 Know the terms included on the page dedicated to Arches and Vaults. 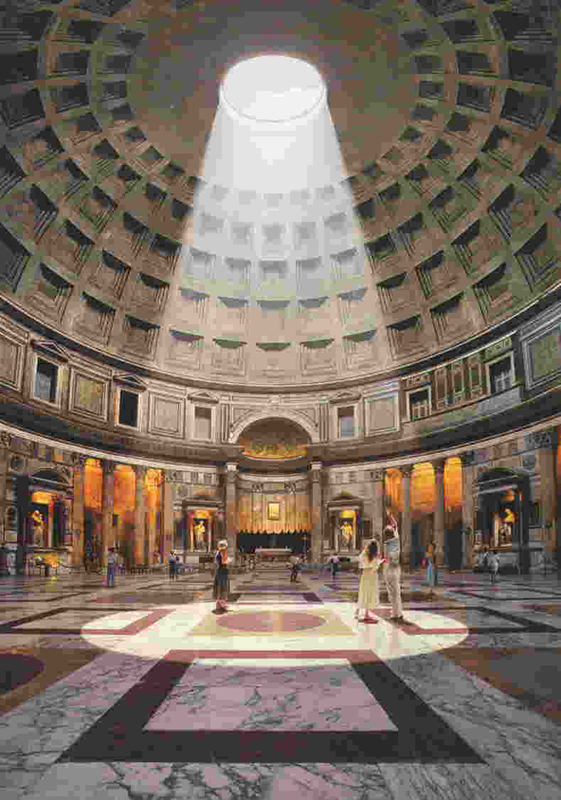 Forum (pl. 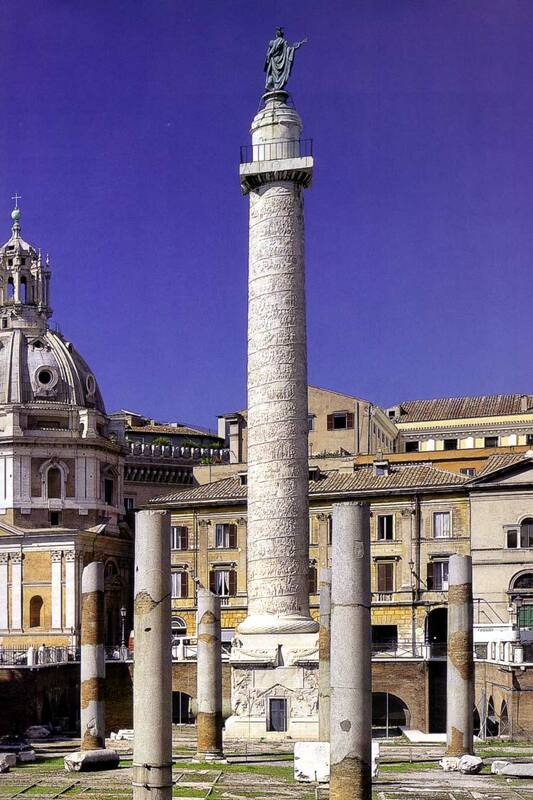 fora): the public square in a Roman city or town. 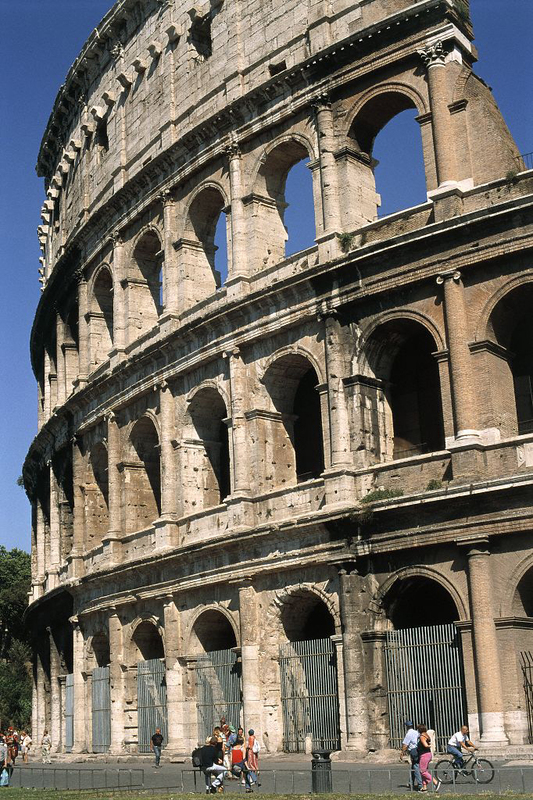 In Rome individual emperors constructed their own fora (Imperial fora). 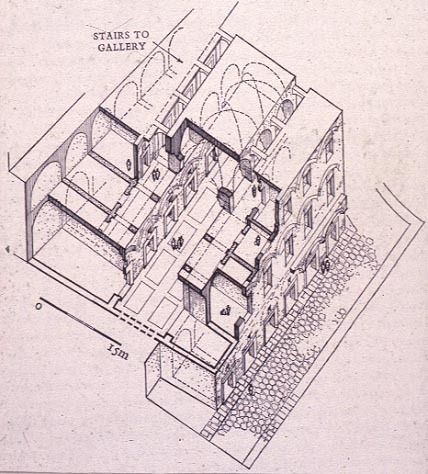 Trabeated- having horizontal beams or lintels rather than arches. 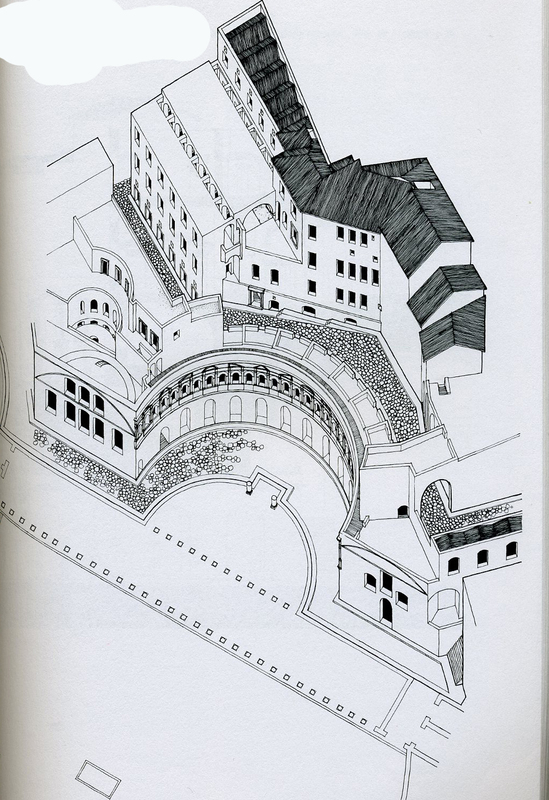 Arcuated- architecture based on the use of arches and vaults. Ashlar masonry- the use of cut blocks of stone to construct a structure. 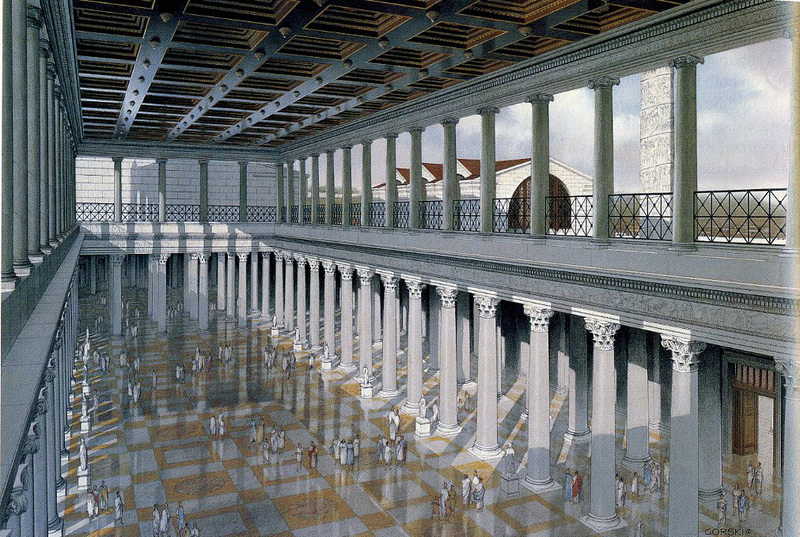 Basilica- originally any large hall, as the public halls erected by the Romans on the fora, or public square, of their towns. 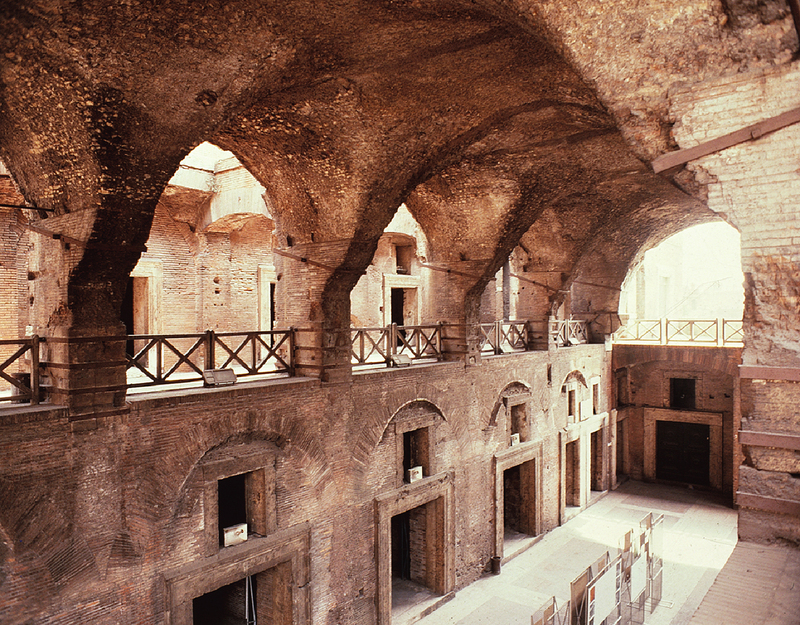 They served as a municipal meeting place, being used as law courts, stock exchanges, etc. 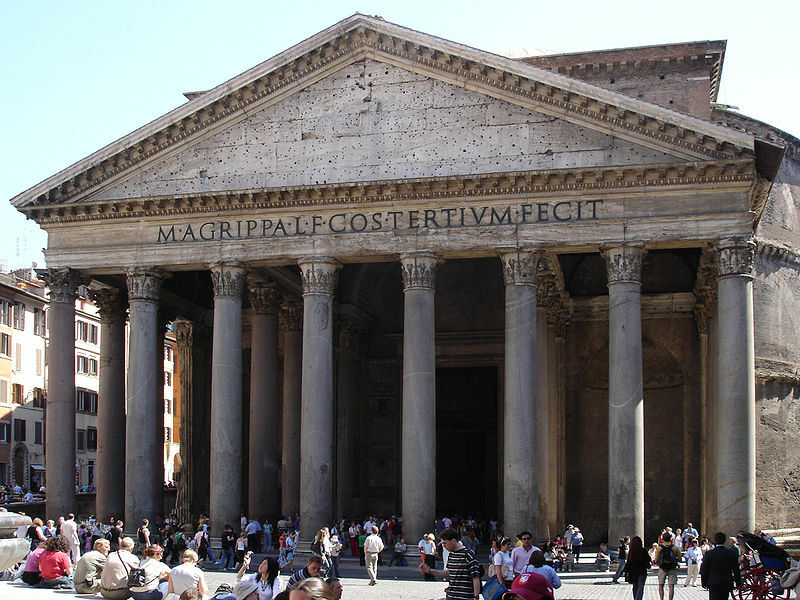 The term was adopted by the Early Christians to designate their churches which retained some of the feature of the familiar secular meeting places. Compare and contrast these two buildings. 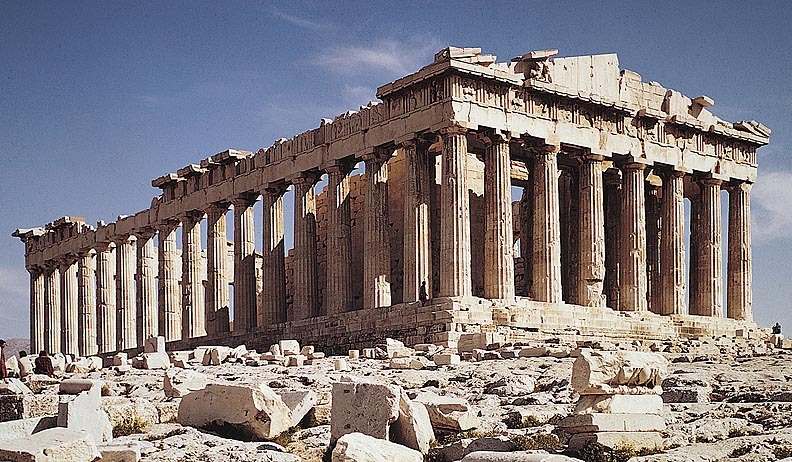 Your answer should include a discussion of the different approaches to space, structural techniques, and building materials. 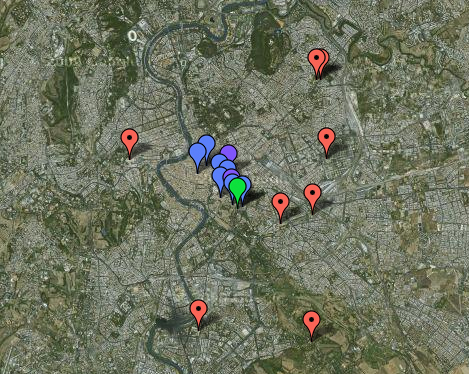 In your discussion of space you should discuss the relationship of the buildings to surrounding structures. Make sure that you also note important similarities between the two. 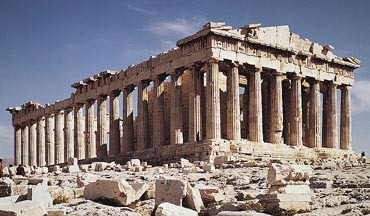 Your discussion should bring out how each is characteristic of the civilization which produced it.